After my first two nutritious meals, I was looking forward to capping off the day with a nutritious dinner (that and cooking/eating is much more fun than choirs). 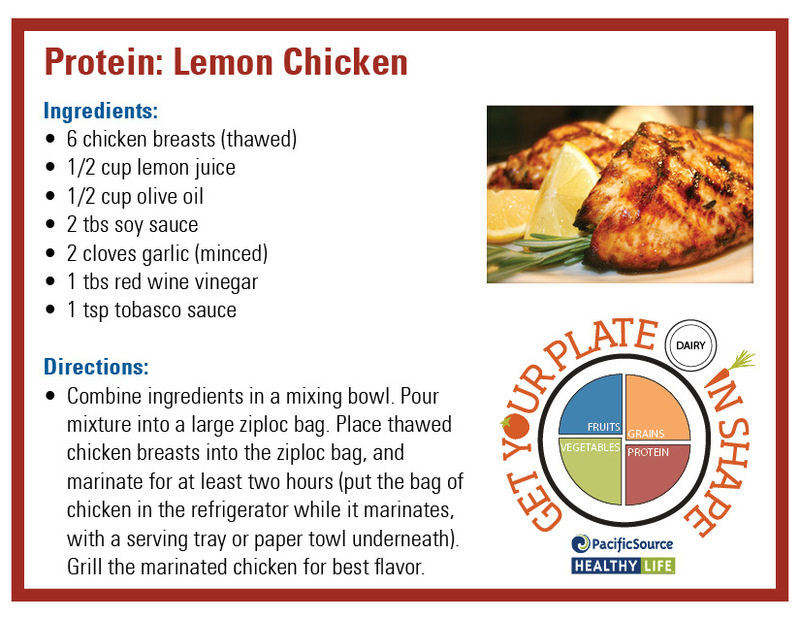 Here are my thoughts and recipes from Sunday evening, on my way to 31 healthy recipes during National Nutrition Month. Enjoy! Strawberries just hit the stores and I was excited to have my first berries of the year, albeit they are coming from California. Thus, it was great timing for the fruit salad recipe! 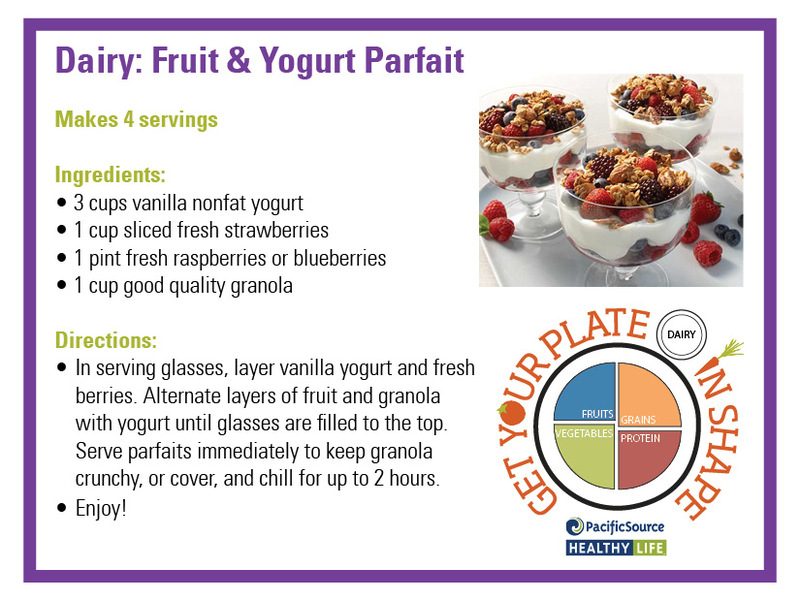 After substituting the blueberries for melon, I quickly prepared this recipe. 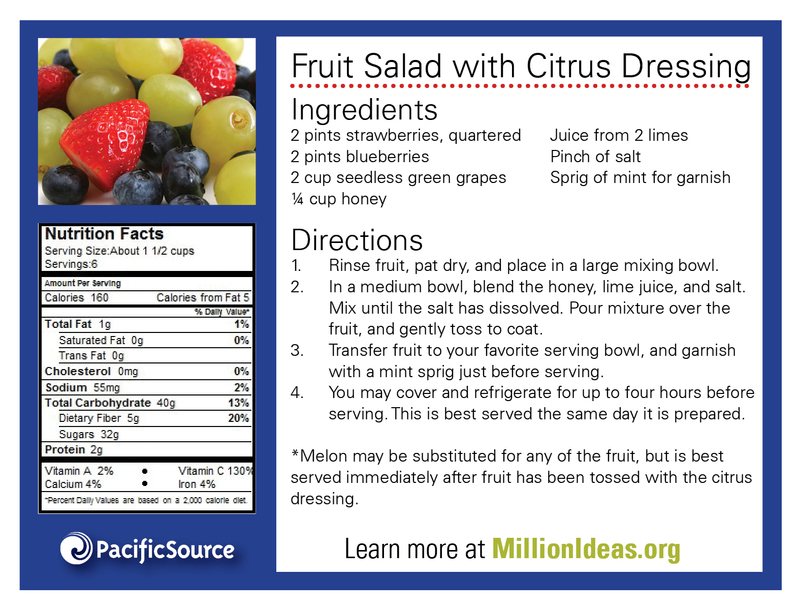 The big tip in this recipe is the addition of honey, replacing the white sugar typically mixed into fruit salads. Sometimes it is the simple recipes that hit the spot! 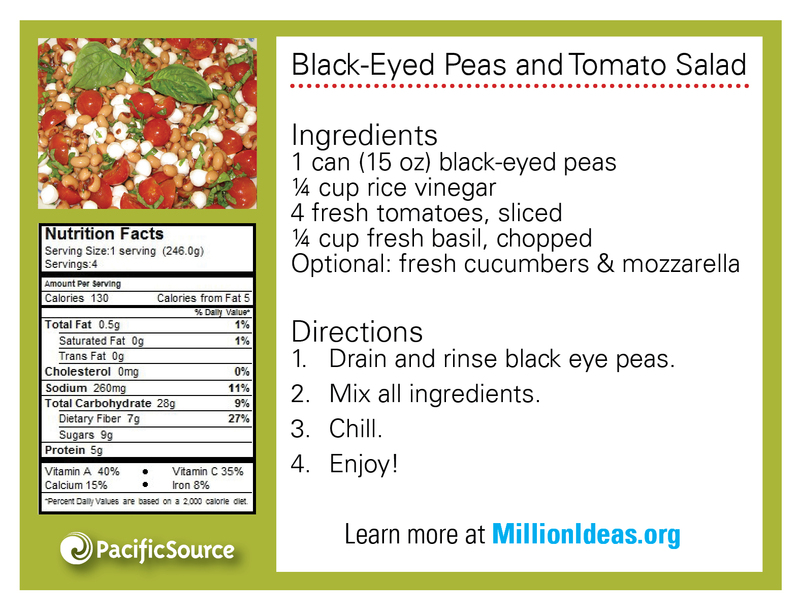 Two great things about this recipe. 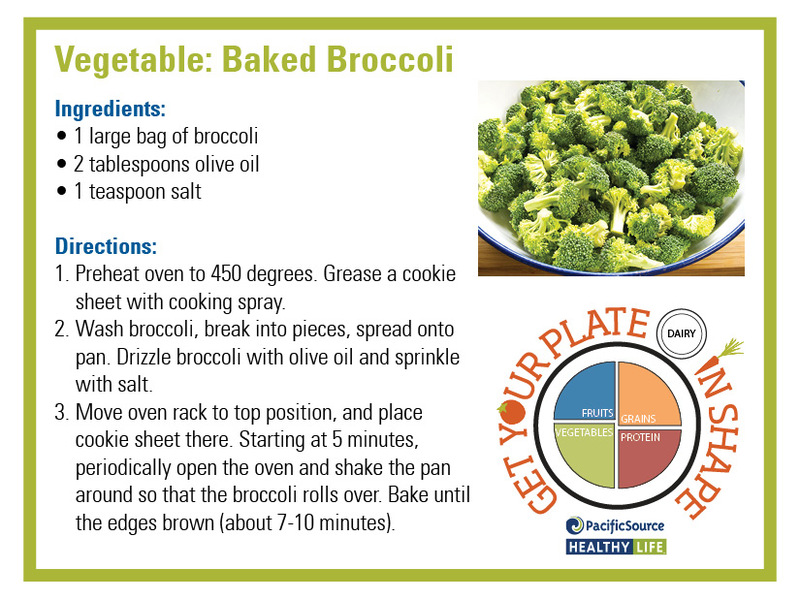 First, by baking the broccoli, compared to boiling, you retain more nutrients. Second, broccoli is a super food, rich in many nutrients — It is easy to see why it won Kenny’s veggie bracket challenge. Since I was baking broccoli, I decided to buy extra for lunch for the next few days (to go with my tomato soup). No doubt, I will be getting my veggies this week! Unlike most broccoli salads made with a dump truck full of mayonnaise, this broccoli salad uses a light amount of Greek yogurt, vinegar, and honey as the dressing. If you’re like me, this is the way to go! Not only is it healthier, but much more flavorful. 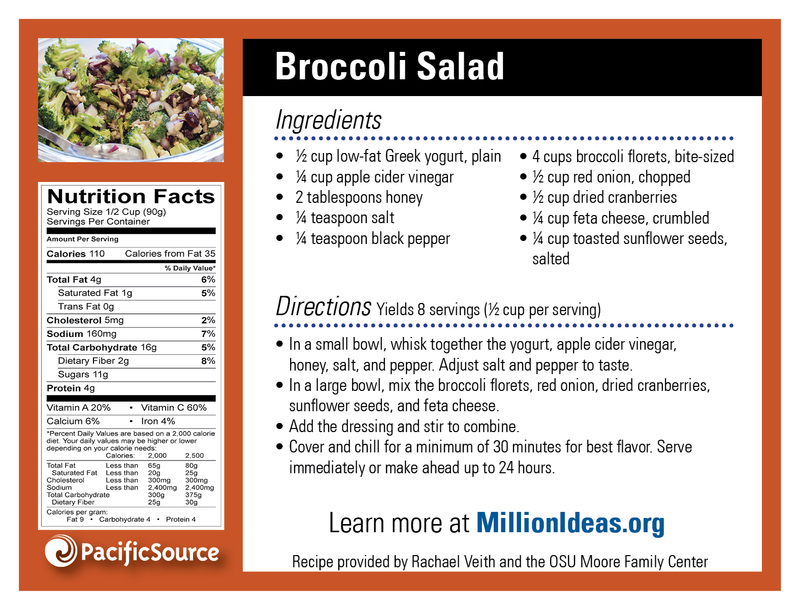 And, with fantastic ingredients like feta, cranberries, and sunflower seeds, this is a great way to indulge in a super food (aka broccoli). This is the second time chili appears in this month’s blogs. So, I will confirm your suspicions, I am a chili fan! What’s not to like about the stuff, it is easy to make, stores well, and always provide me with the energy I need. 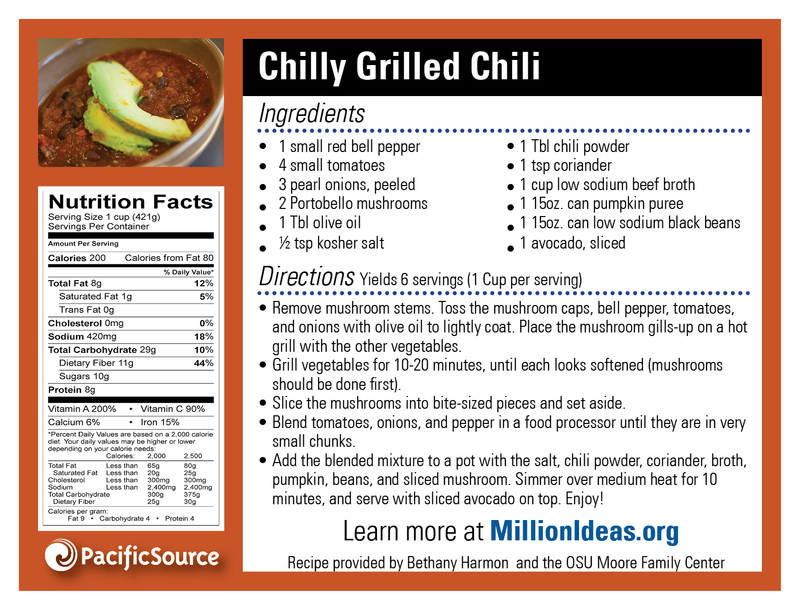 What I like about this chili recipe is the grilled veggies. 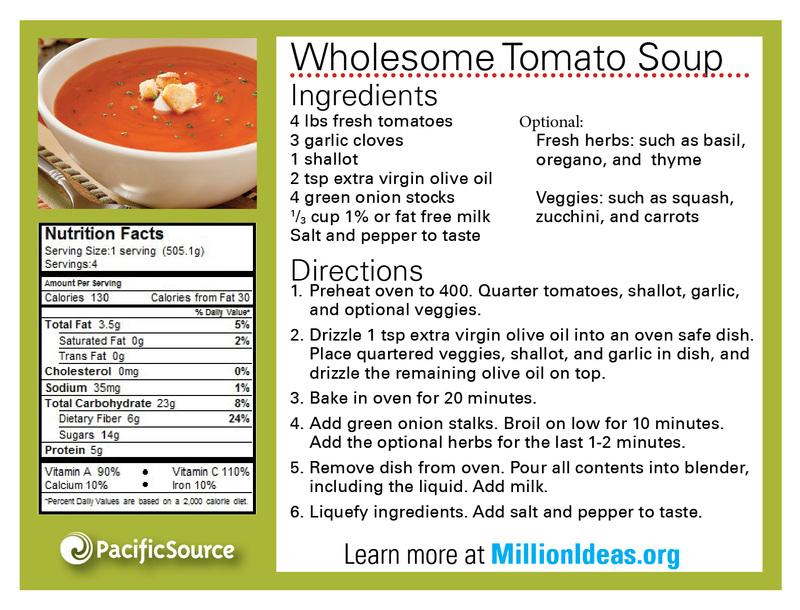 Although, it is a bit more work, it is worth the extra flavor you pull from each veggie. If you have the time, I highly recommend using this technique! I have blogged on a total of 26 recipes! Just two more meals and I reach the finish line! Yesterday, I made Latin Quinoa Salad, fruit mango salsa, along with the simple salmon made previously. Tonight, I will finish with a healthy feast; roasted garlic chicken with linguine, spinach salad, and peaches with cream for dessert! I am on a roll! Two evenings in a row I have stepped up and fixed myself a healthy, balanced meal! Mark off three more on my quest to make 31 healthy recipes during National Nutrition Month. At lunchtime, I asked my wife to begin marinating the pork. She gladly accepted the task, as she knew I would be cooking the remainder of the meal! Once marinated, I placed the pork on the grill at 350 degrees. I know, I strayed from the directions, but this created less mess and removed the step of searing the tenderloin. Once grilled up, the pork turned out great! As the tenderloin is a lean cut, it required the hour long cooking period to make it tender. As I mentioned in my post about pot roast, slow cooking is a great was to prepare a lean protein. 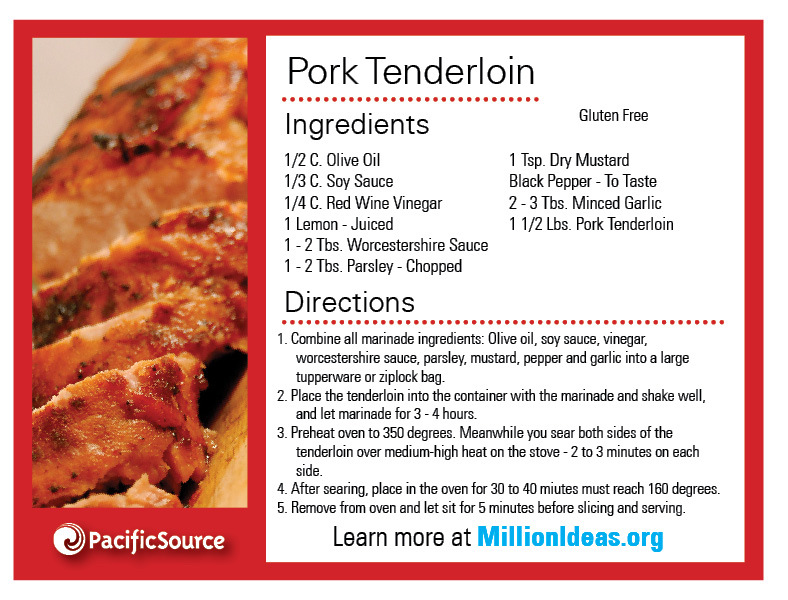 In addition to being a lean protein, pork tenderloin is a great source of B vitamins and zinc. Being tasty and nutritious, I will be cooking pork tenderloin much more often. And, with the many healthy marinades out there, I will be able to mix it up and try new flavors! I will admit, I was quite hungry while waiting for the pork to cook. And with a bunch of kale in the fridge waiting to be used in the vegetable slaw, I decided to make kale chips. I removed the stems, seasoned the kale lightly with olive oil and salt, and placed them in the oven. While they were cooking, I began prepping the veggies for the slaw. I was cutting away, making great progress on the slaw, then remembered the kale chips. I immediately stopped cutting, and opened the oven. It was too late. 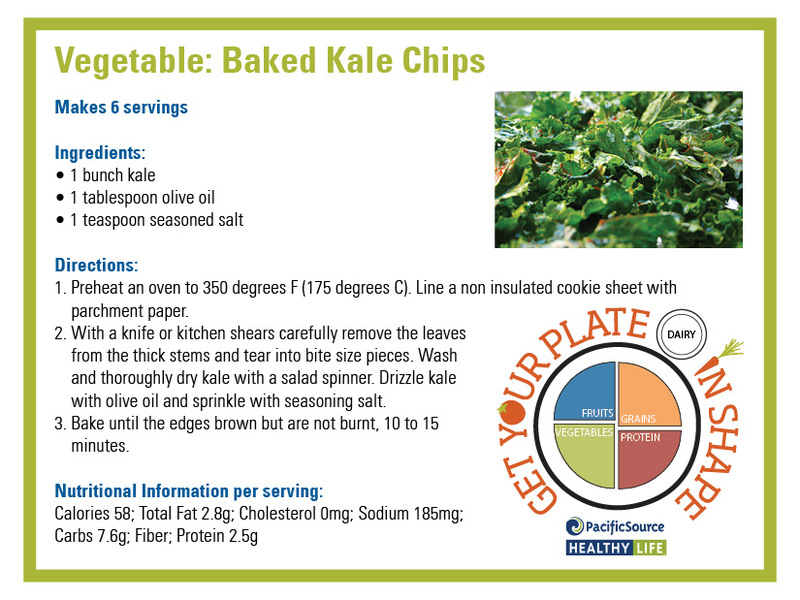 The now brown kale chips lost all flavor, except for the salt. My first failure of the month. I would have tried again, but I was now committed to not screwing up the slaw. Luck for me, the kale in this slaw does not need to be cooked. I cut the veggies, blended the dressing, and waited for the pork to finish. After only a few minutes (I am a slow cutter), the pork was ready to go, and I was dressing the salad. Typically, when making a salad, I go to the fridge and pull out a bottle of pre-made dressing. Not this time! And, that is what makes this recipe amazing. The dressing perfectly flavors the fresh veggies, especially the jicama. The salad was light, fresh, nutritious, and a great pairing to the pork. Although, I failed to bake kale chips, this was a successful meal. I was full, my wife was happy, and our compost enjoyed a good serving of burnt kale chips! My big take away from this meal (excluding not burning the kale chips); making my own dressing! I will save money by not having to buy it, and will always have a fresh dressing, when I need it! How many of you make your own dressing?